Connecticut farm dinners have really grown in popularity and abundance the past 10 years, but a long-time favorite is my second Souterrain at Sport Hill Farm. It was an overcast afternoon, but I fondly remember a late Spring brunch in the greenhouse, surrounded by good friends. I had never been to this farm before, but to me it has remained the most logical and beautiful backdrop for Bill Taibe’s movable feasts – more than any subsequent Souterrain location. Living in Milford, I hardly find myself near Easton, CT, but frustrated that I’m always stuck at work and unable to attend the Westport Farmers’s Market, I decided to make a special trip back to Sport Hill Farm, while tomatoes and corn are enjoying an extended season. 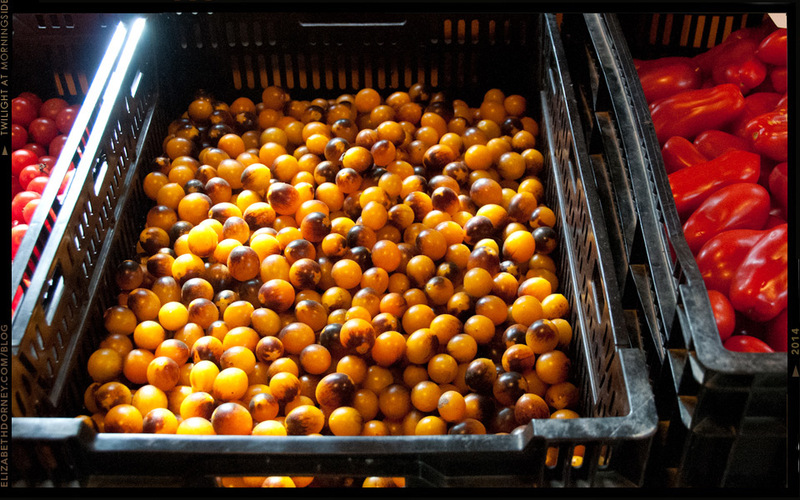 If you’ve never met farmer Patti Popp, she’s exhibits a knack for growing delicious food and a eye for the never-ending beauty in the cultivated world to which she tends. Just take a peek at Patti’s photos on instagram: @farmgal596. To top it off, she is a tireless educator and a gracious host. Thank you Patti for taking time out from your restaurant delivery prep to welcome Lily to the market. Here, Patti’s offering up a lima bean for further inspection. Lily is uncertain about touching these large beans! 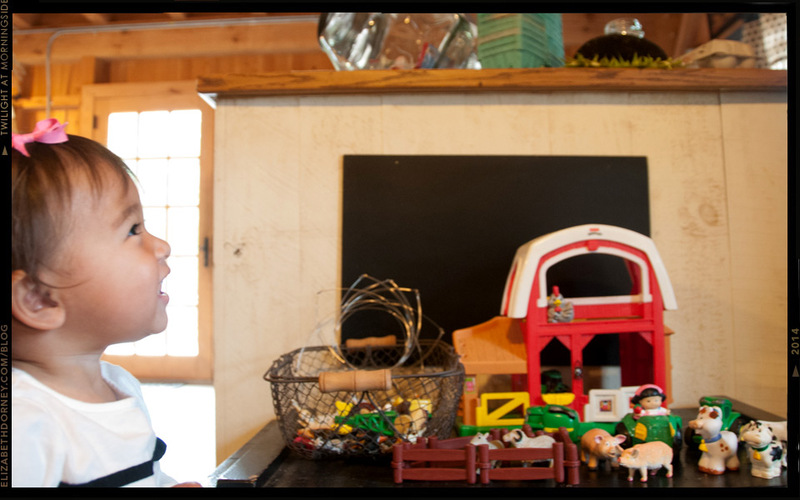 The Sport Hill Farm market is a welcoming place for kids and has a toy farm + barnyard animals to keep little hands occupied while you browse the aisles! 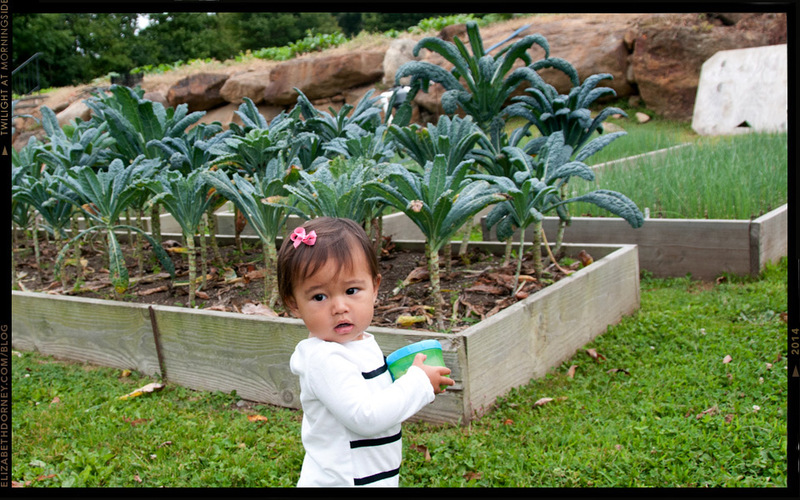 Regardless of whether you have a little one in tow, the real reason to visit the farm is to stock up on flavorful, locally-grown produce and provisions. In season, the farm market is open daily (check the website or Facebook page for hours) and you’ll also find the farm gal’s smiling face at the Thursday Westport Farmers’ Market and the Saturday Black Rock Farmers’ Market. 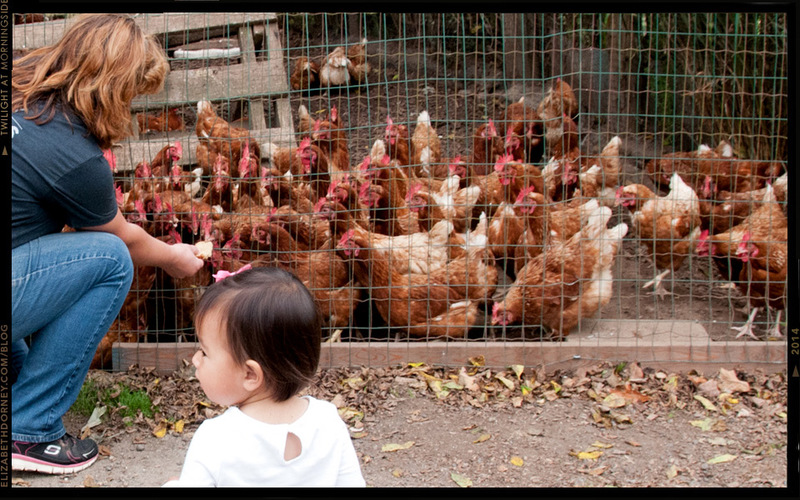 Want to feed the chickens? Ask for a slice of bread at the market counter. After the bread was gone, Patti even brought out a hen for closer inspection! I couldn’t resist the cranberry beans. The pattern caught my eye, so I had to take a photo before the colors became muddled and murky on the stovetop. 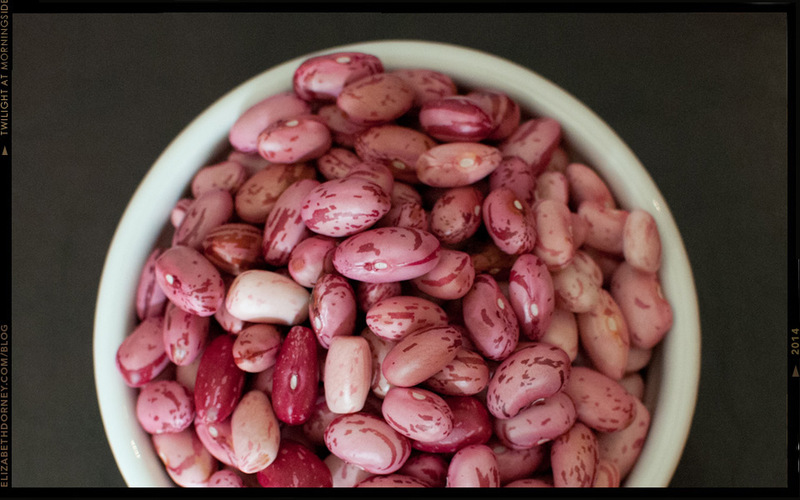 I’m not sure if this is odd, but I find it relaxing to shell beans (as long as they’re not favas). Without a recipe in mind, I bought a bagful and made a creamy bean dip. 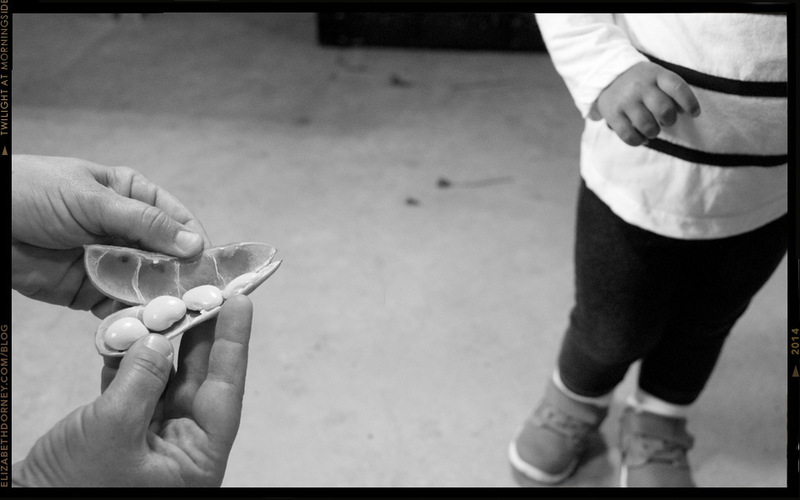 If you find yourself with an eggplant and a bowl full of shelling beans (makes a great project to keep your little ones occupied) I noticed Patti featured this A Pinch of Salt recipe at the market.